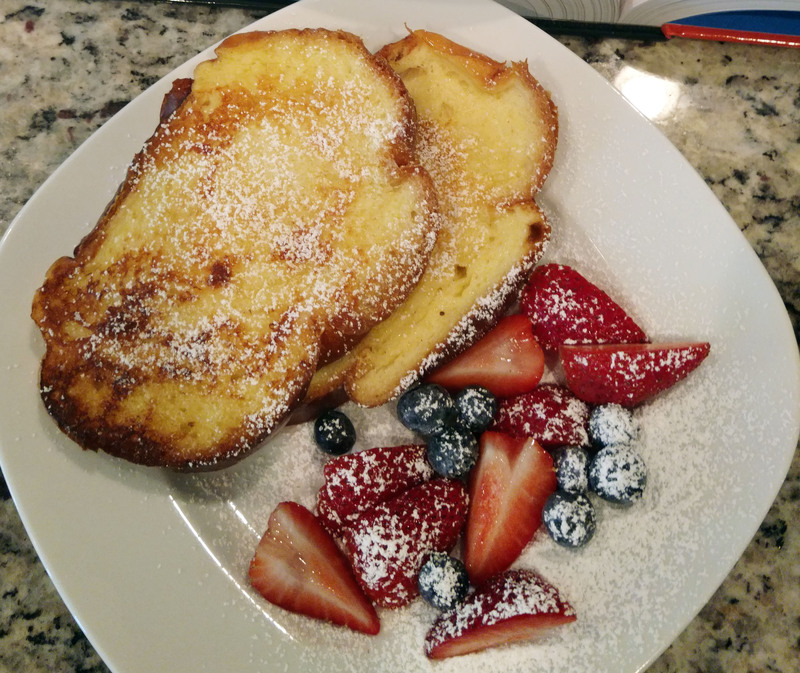 Next time you see a nice Challah bread at the store, think about picking one up to try out this great french toast recipe. It’s simple, but a great way to have a restaurant style meal at home and save some big money. Dry the sliced bread overnight or in a 200 degree F (93 degree C) oven for an hour. Combine milk, eggs, sugar, salt, cinnamon and nutmeg until smooth. (May refrigerate until needed). Dip bread into batter, coating evenly and fry until one side browned; flip and repeat. Serve with butter and syrup, you may keep slices warm in very low oven.